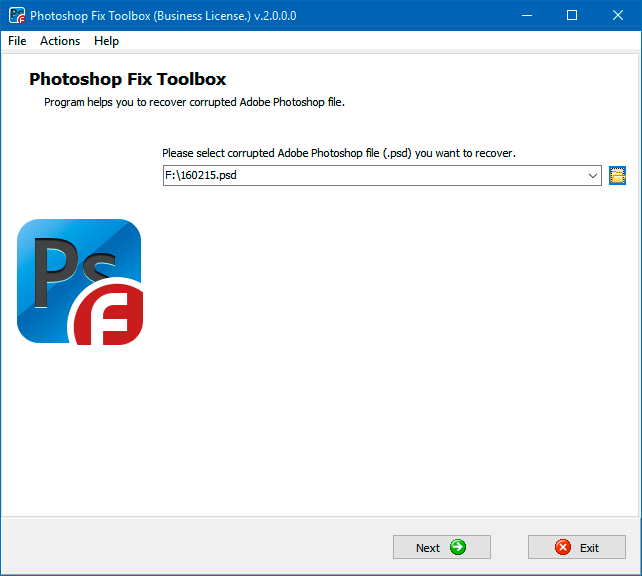 Photoshop Fix Toolbox helps you quickly and easily recover data from damaged *.psd files created with the Adobe Photoshop graphics editor. 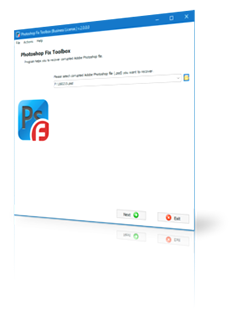 Support for Adobe Photoshop 3.0 and later. Simple and easy step-by-step fix procedure. Fix files with *.psd and *.8bps extensions. Fix large *.psd files - more than 2GB. Preliminary review of recovered data, in separate layers. 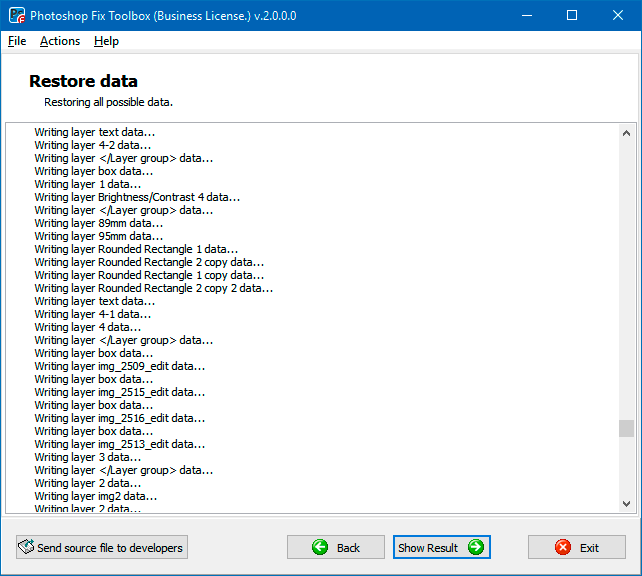 Save recovered data to a new *.psd file. Fix properties of layers, objects, headings, etc. 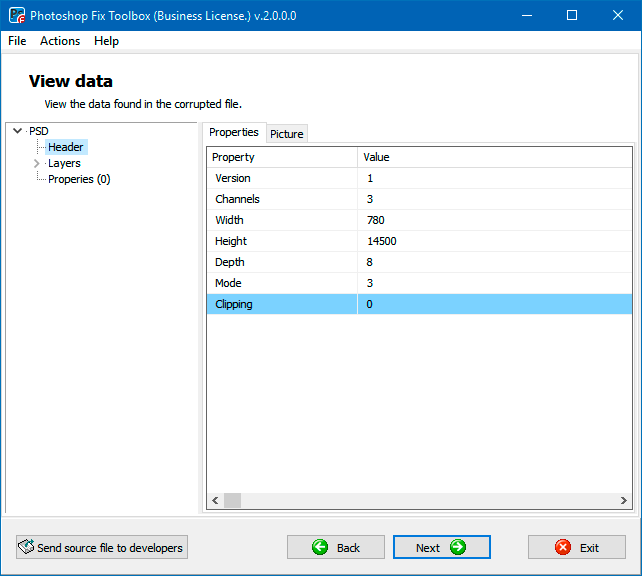 The Adobe PSD fix tool analyzes the structure of a damaged *.psd file and recovers the data automatically. 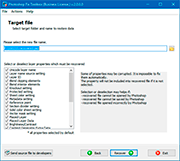 How to fix Photoshop damaged file: all the user needs to do is to select a source file on the program's first page. Note: The program is not licensed under GNU General Public License (GPL) or GNU Lesser General Public License (LGPL). 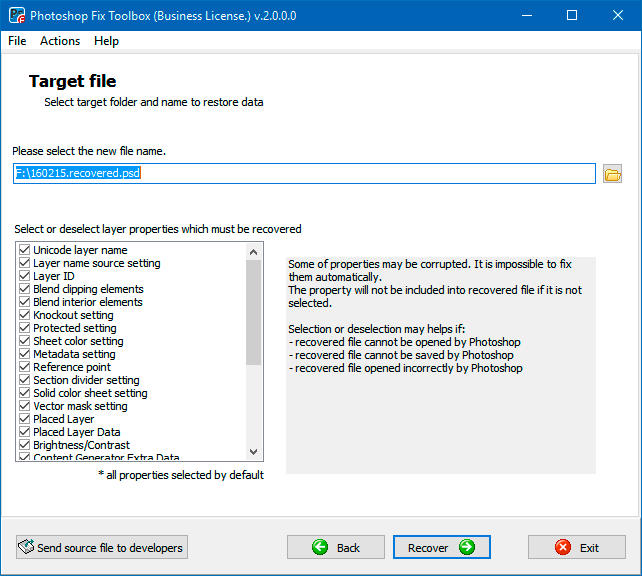 Photoshop Fix Toolbox is not open source software or a freeware tool. 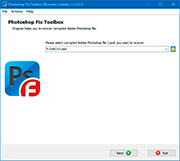 Photoshop Fix Toolbox is distributed on the try-before-you-buy basis with a free DEMO version. Selection of the damaged file. Preview of the structure of the damaged file. Selection of the output file.